You’re probably asking, how’s the new McMornings show on The Drive working out? As you probably guessed, it’s about as flat as a Diet Coke. According to an article by Robert Feder Monday, the gamble made by Hubbard-owned WDRV-FM pairing up former sports talker Dan McNeil and former WGN-AM host Pete McMurray for “The Morning Drive” isn’t paying off. And McNeil is likely on the chopping block. 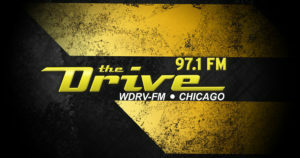 Last month, McNeil reportedly got into an off-air argument with management over the recent departure of Chicago radio veteran Greg Solk from the company, who initially launched The Drive in 2001 and hired McNeil and McMurray. The heated argument was witnessed by several staffers; as a result, McNeil was suspended for ten days. Since his return, McNeil has been demoted to only reading sports updates every hour and having no interaction with the cast – including McMurray and producer Scott Miller, who received an increased amount of airtime. At least McNeil was spared from attending WDRV’s lame fifteenth anniversary celebration, a concert featuring past-their-prime bands Jefferson Starship and Boston. Launched in March 2015, the new “McMornings” show on the drive has stalled at the starting gate. According to Feder’s article, the new “Morning Drive” finished ninth in a recent ratings report among men 25-54 and fifteenth overall – a disappointment given the hype. This comes as ratings for The Drive overall are declining faster than sales of a value menu. Revenue is down, too as the Chicago market continues to lose population. Judging by some of the comments on Feder’s website, listeners aren’t happy with the musical direction of the station as The Drive’s playlist has become as stale as the food at Arby’s – nor having the McBrothers morning show at all since they replaced a music-intensive show with a talk-intensive one. You can blame the declines on the changes made by station execs (including the now-departed Solk) – messing with a tried-and-true formula and changing for the sake of “innovation” and “evolvement”, or whatever buzzwords corporate execs love to use to make themselves feel important. Last fall, WDRV added a post-game Bears show last fall hosted by The Hamburgular himself, Mike North. For a station who touts itself as “the soundtrack of your life” or something, WDRV stopped the hits for an hour every week to talk about football. Gee, I didn’t know the soundtrack of my life featured a has-been loser talking about Jay Cutler. As expected, the inane move was a bigger flop than the Arch Deluxe. Employing the has-been North was bad enough, who given all the failures he’s been associated with, should’ve stayed in his hot dog stand and sell Vienna Beef products. It’s tough to feel sorry for McNeil – he has a history of rude behavior, which resulted in losing numerous gigs at both The Score and ESPN 1000. With this recent demotion, it likely means he is out when his contract is up. But hiring McNeil was puzzling to begin with, as bringing in the Ronald McDonald Clown Car with him and North was unnecessary. But this is what happens when you live in a radio market where these types refuse to get off the stage. Rest assured, McNeil’s next gig won’t be managing a Hardee’s, though execs who make these types of decisions ought to be working at one. Listeners of The Drive – and Chicago radio in particular – deserve a break today.